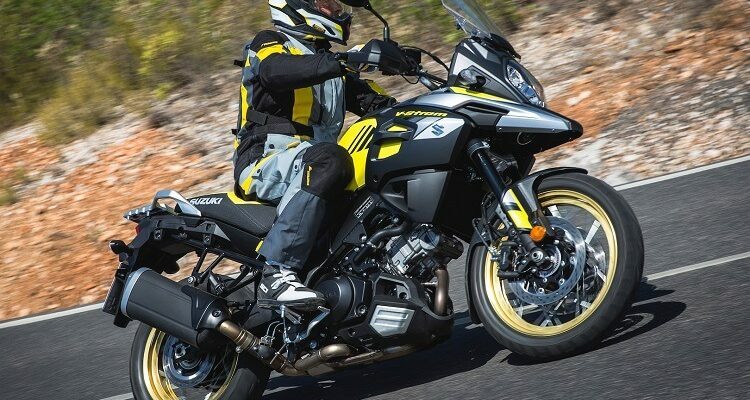 The Suzuki V-Strom 650 ABS and Suzuki V-Strom 650XT Abs have received some massive changes from Suzuki. Other that the engine enhancements, these new bikes are better suited for adventure touring. So, what are the changes Suzuki has made to these bikes? Here are a few changes, take a look! Suzuki V-Strom 650s come with the new resin-coated and exhaust cams that are featured on the 2017 SV650 sport bike. The V-twin engine has a capacity of 645cc and produces 70 HP at 8800 rpm and 46ft/lbs at 6500rpm. The new motor features 10-hole fuel injectors that work effectively to improve combustion and reduce fuel consumption. At the tail end of the system is a new exhaust system that is lighter and features new catalyzers. It also allows for narrow mounting for those who need the optional airbags. The 2017 Suzuki V-Strom 650 line features a traction control system that makes use of the throttle position, crank position, gear position and wheel speed to determine the precise moment to reduce power. These new bikes come with a luggage rack that also functions as a mounting point for a top box and side bags. This is a feature that was not present in the old V-Strom 650s and is a welcome addition. The features included in the 2017 Suzuki V-Strom 650s are Easy Start Button, an updated instrument panel, Low RPM Assist, 3-position windshield, 12V outlet and slimmer bodywork and seat. The new designs of the V-Strom 650s include LED tail lights, new vertical headlights, and new plastic bits. 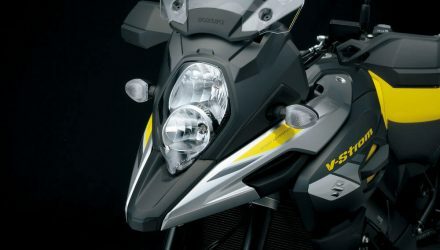 The standard V-Strom 650 also comes with the cool beak at the front. Among these new features are plastic protection under the motor, hand guards, and wire-spoke DID rims. The Suzuki motorbike manufacturer has decided to suspend the production of the bike and engage on the 2018 Suzuki V-Strom 1000 and 1000XT production line.